As a family medicine physician, Dr. Tania E. Velez spent years training so she could take care of your entire family, including your children. 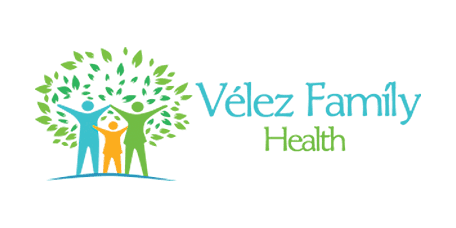 At her practice, Velez Family Health, she specializes in the health care of children ages 5 and up, and provides physicals, sick visits, and the management of asthma. If you’re searching for a caring, holistic family physician for your child and live in or near the Doctor Phillips area of Orlando, Florida, call the office or book an appointment online. Does my child need an annual physical? Yes. Your child should be evaluated by Dr. Velez every year. An annual physical helps your child feel more comfortable at the doctor’s office and is a great time for you to discuss any concerns you might have about your child’s health and well-being. What happens during a pediatric annual physical? The pediatric annual physical is similar to an adult physical. Dr. Velez begins by obtaining your child’s vitals, including height and weight, blood pressure, heart rate, and temperature. Then, Dr. Velez examines your child, looking in the eyes and ears, listening to the heart and lungs, palpating internal organs, and checking reflexes. Dr. Velez also asks questions about your child’s diet and activity. When should I bring my child in for a sick visit? Dr. Velez offers same-day and next-day sick-visit appointments. If it’s an emergency, call 911 or go to the nearest emergency room. Pediatric asthma is a medical condition that causes difficulty breathing due to the narrowing and swelling of the airway passages. Smoking around children may also cause asthma. How is pediatric asthma managed? Asthma can't be cured, but Dr. Velez can help you manage your child's asthma. The first step in the management of your child's asthma is to identify triggers and limit exposure. Dr. Velez may also prescribe medications to help improve breathing, including special inhalants to manage an acute attack and inhalants to help prevent an attack. Dr. Velez also works with you to develop an action plan to help you monitor your child’s asthma and an emergency plan when an attack occurs. If you’re searching for a caring physician to help you manage your child’s wellness, call the office or book an appointment online.